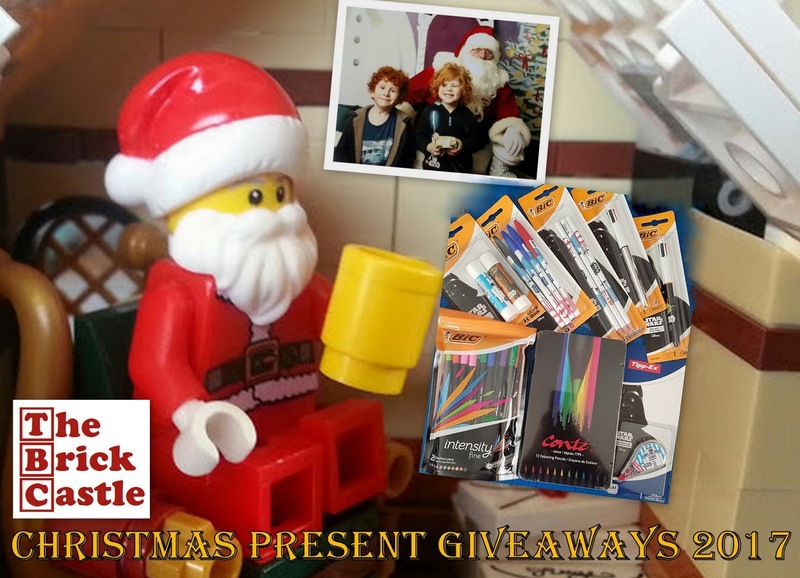 The Brick Castle: Big Bic Stationery Christmas Giveaway with added Star Wars! 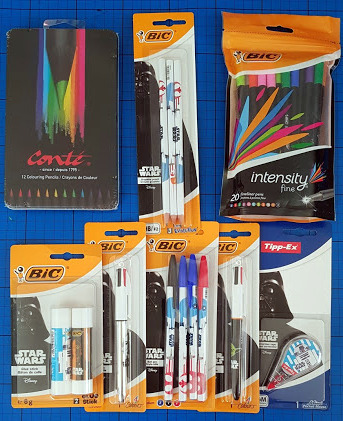 Big Bic Stationery Christmas Giveaway with added Star Wars! Stationery is always popular at Christmas. Every stocking should contain a special pen or pencil from Father Christmas, for you to write a thank you. 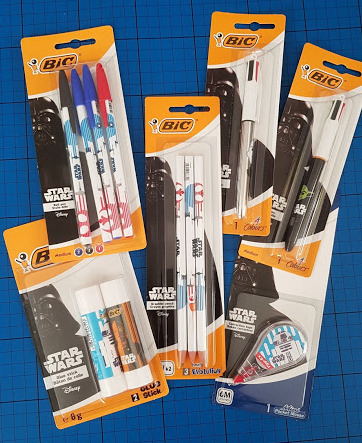 Bic have recently released an awesome range of Star Wars stationery and this Christmas they're giving one of my readers a big bundle. Not only that, but the giveaway winner will also receive a tin of their excellent Conte Drawing Pencils and a pack of 20 Intensity Fineliners. 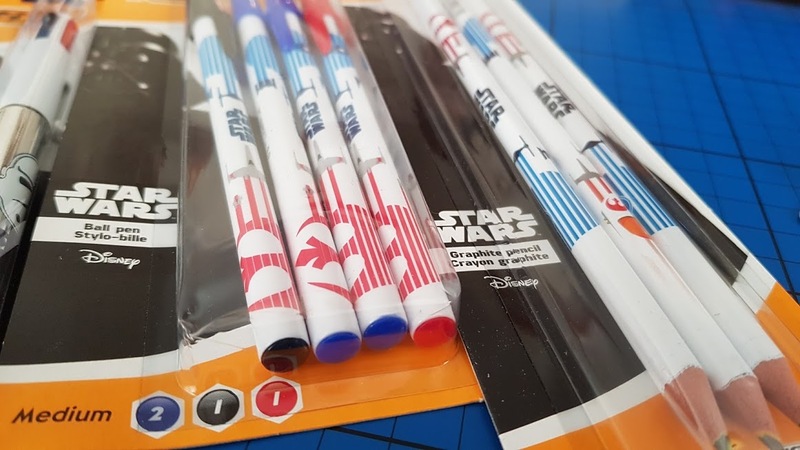 The Star Wars range includes Bic Ball Pen, Bic 4 Colours Ball Pen (and Bic 4 Colours Shine Ball Pen), Bic Evolution Graphite Pencil, Bic Glue Stick and Tipp-Ex Mini Pocket Mouse Correction Tape. 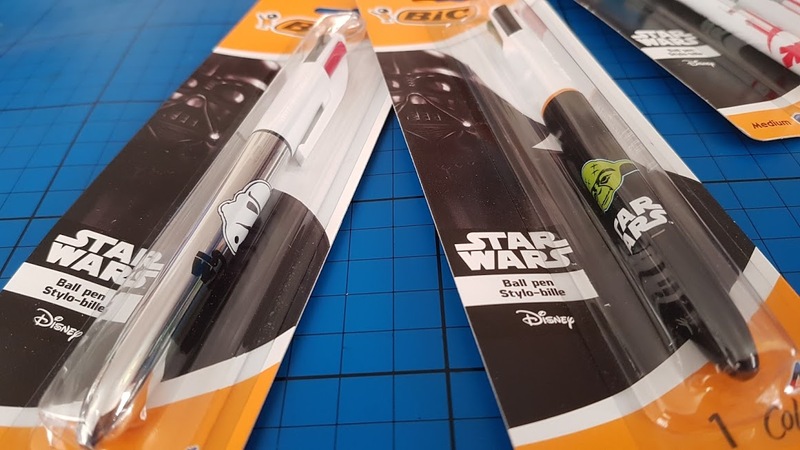 Each has great easy to spot Darth Vader packaging and the products inside are printed with characters from Star Wars. 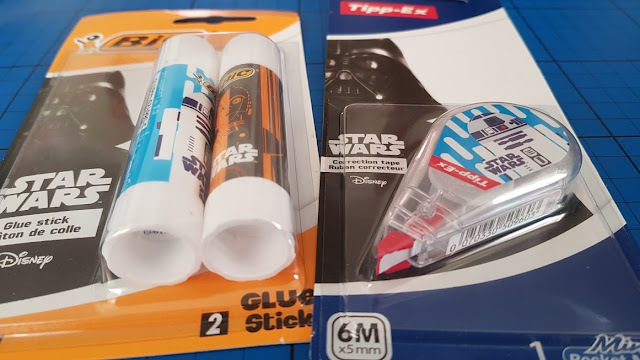 There are 6 products from the Star Wars stationery range in my giveaway and each is great for a stockingfiller, ideal for anyone aged around 4+, except the Tipp-Ex Mouse - leave that for the big kids. 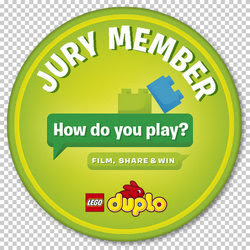 My college and uni student big kids use Tipp-Ex and Glue Sticks a lot more than you'd realise. How much cooler is it to have R2-D2 stick down your photos? The pencils and pens are also really nice and with Bic you can rely on the quality. Yoda the four-colour pen will not you down let. 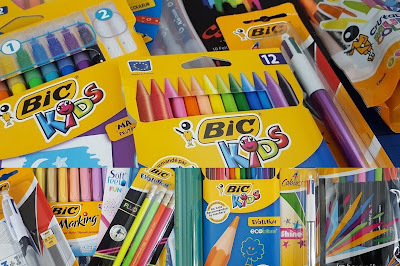 You can find my full reviews of Bic products at the following links - Bic for Students and More Bic for Students (including the Intensity Fineliners), and Bic for younger students, including Bic Kids. 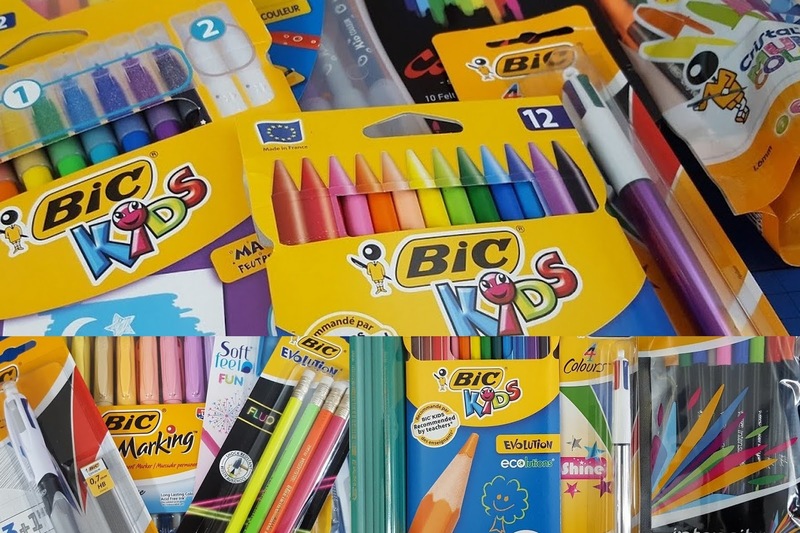 Bic stationery is available to buy in a gazillion different shops, including supermarkets and newsagents. You can find out about the whole range on the Bic World UK website. Prices are current on Amazon (including a £10 Star Wars BIC Bundle ). 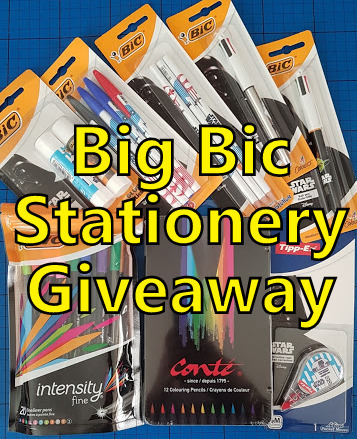 The products shown are: 12 Conte Drawing Pencils £4.94, 20 Intensity Fineliners £14.99, BIC Ball Pen £3, BIC 4 Colours Ball Pen £4.49, BIC Evolution Graphite Pencil £2, BIC Glue Stick £5 and Tipp-Ex Mini Pocket Mouse Correction Tape £6. Bic have kindly offered one of my readers a bundle of everything shown as prize in my Christmas Present giveaways. 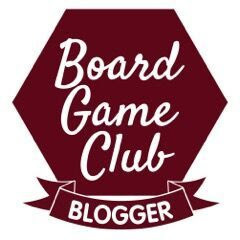 Entry to the giveaway is by the Gleam form below. Open to UK entrants only, the giveaway will close at midnight Sunday 10th December to allow for Christmas delivery. One winner will win the entire stationery bundle worth around £40. We were sent our bundle for photography and review. 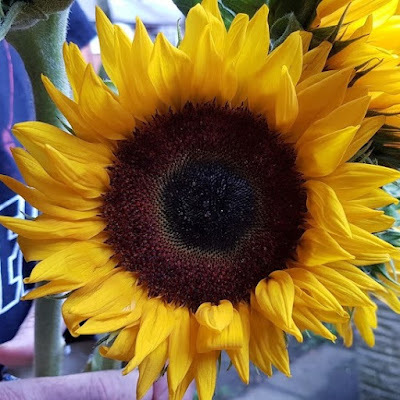 The Amazon link is an affiliate link, so I get a few pence each time someone orders through me, but they don't pay any more! I love your questions! I love Star Wars and I think Darth Vader would buy Luke Skywalker a book about how to be a good father so he won't turn out like him! A new Lightsaber of course! Poison mince pies because he is evil!! He'd buy a pair of gloves, they could wear one each. Well Darth Vader is now a ghost/hologram?? So it's a tricky one...a bionic hand!! I'd suggest he get him some of the fab new Bic Star Wars stationery! Obviously some colouring pencils for relaxation purposes. An Amazon Echo then it could have any answers he wants. A new light saber !! Darth Vader wouldn"t give Luke anything for Christmas because the man is pure evil and the CSA have been chasing him for child maintenance payments for years! A sat nav for his spaceship (don't know the proper name of it)! He would buy him a book called how to take over the galaxy in 3 easy steps lol. Highlighter pens to colour his lightsabre with! 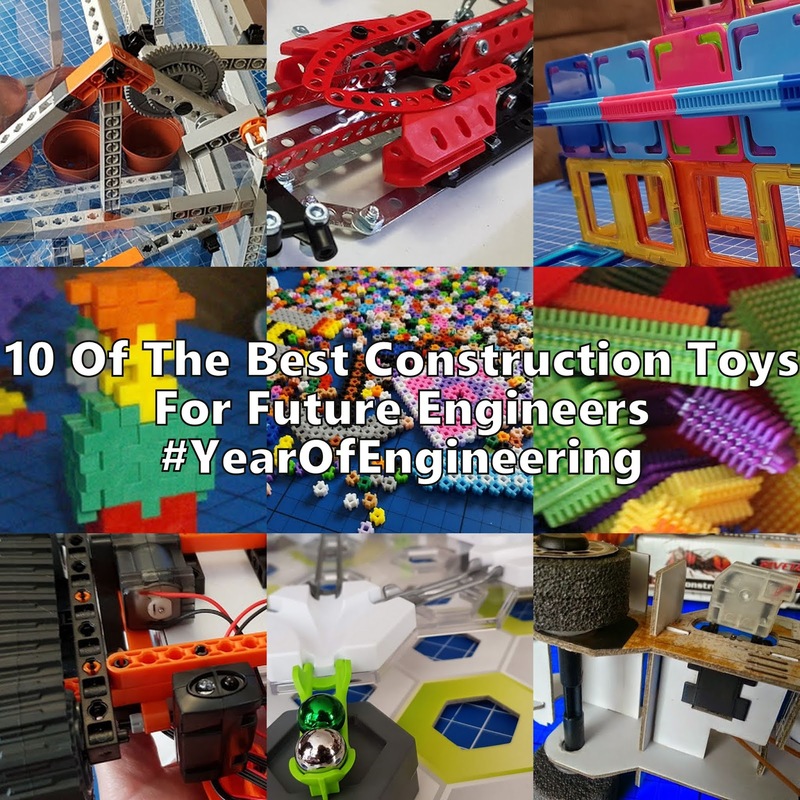 A Lego Starwars set, of course! I think he would buy a shed load of Percy Pig sweets from M&S because everyone one loves Percy Pigs! A rubik cube so that it would keep him distracted. he will buy him a stress ball! A nice snug sleeping bag because it looks like he is on some bleak island now and he could do with a warm bed in a cosy tent perhaps???? A 'world's best son' t-shirt! A box of dark chocolate wookie cookies to tempt him to the dark side. A “Who’s The Daddy” t-shirt just to rub it in. He would buy a nifty lightsaber cover and polishing kit. He brought him a best son Christmas mug! A torch to help him when he gets to the 'dark side'. A model version of the Deathstar. A pack of Duracell batteries, to keep his light saber glowing for longer. A marshmallow toasting kit so they can sit and munch marshmallows together and bond over the campfire, heh. As his dog groomer, I think he would buy a furminator, would slash through any grooming problems. Batteries for his light saber! I think he would buy him some throat pastilles. Something flashy and expensive, gotta make up for those years of neglect somehow. I would suggest a diamond encrusted lightsaber for a touch of Jedi bling. I think he needs a Hot chocolate, as he needs to chill and not be so angry! hed take a dog with jaws teeth!! A subscription to ancestry.com so he could research his family tree! A fork so he could use the "fork Luke"
A selection of nice cheeses and a bottle of red wine. I just think he'd be bored of anything Star wars by now. I think Darth would buy Luke a picture frame "Galaxy's Best Dad" with a picture of himself in it. Luke: How do you know that? A matching outfit... so he could join the Dark Side!!! The 'Star TREK' boxset, just so they could see how the other half live! A big bar of Galaxy chocolate, cos who wants a Mars Bar when you can have the whole galaxy? A new face mask with some lights and tinsel with a rotating star on top. Gorgeous. He'd probably get him a pair of gloves and then realise how unthinking that was. "Well, keep the one you need and give the other away. Merry Christmas son." A handy guide to the art of being evil. Holographic glittery lightsaber so he can fight in style. A Star Wars mug saying 'I am your Father'. He'd buy him a box of chocolates, so they could sit down and share them. Some slippers in the shape of dogs just because! He would buy him a hot water bottle to warm his heart.